We are so glad you have decided to join us and wanted to thank you for allowing us to be partners in your healthcare. 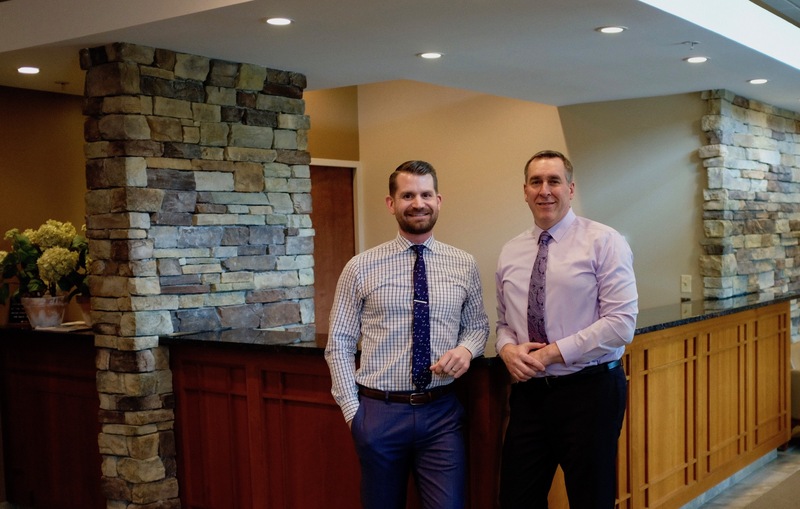 Dr. Thomas DeLacey and Dr. Bryce Larson have a team of skilled hygienists, assistants, patient coordinators and insurance leaders to assist our patients with any questions or concerns regarding your time at our practice. Our entire team is dedicated to serving you and your family’s oral health care needs, and we are sincerely committed to providing the comprehensive, personalized, and attentive care that you deserve. Part of our commitment to serving our patients includes providing information that helps them to make more informed decisions about their oral health needs. We genuinely hope that this website is a helpful resource to learn more about our practice, dental conditions and treatments, health recommendations, and more. We hope you’ll find it both useful and interesting. If you have any additional questions or concerns that are not addressed here, please feel free to contact us, or ask at your next appointment. Thank you for giving us the opportunity to serve you and your family. We look forward to seeing you at your visits with us. We work hard to deliver excellent care using the latest knowledge and technology. Had a great experience at DeLacey Dental yesterday. Very thorough exam. Dr. DeLacey and his team are amazing! They are friendly, knowledgeable and just all around fantastic. I am glad that I have found a dentist that can be me forever dentist! Highly recommend this team! I have many recommendations from friends for Dr. DeLacey so I know he does great work, but I have been going for several works and I am still amazed that I have not needed any work done, except my cleaning. Every other dentist I have had, always had some 'work' they wanted to do. Dr DeLacey does not just tell you something needs done. I am so impressed! Love everyone there. We believe in providing patient centered care that allows for excellent communication between patient and doctor.